Another US Chess Championship has come and gone with GM Hikaru Nakamura claiming his 5th national championship title! There was a last minute push by former champion GM Fabiano Caruana, but he was unable to hold off a draw with GM Sam Shankland. Going into the tournament final, Nakamura and Caruana were tied with Leinier Dominguez for first place, but Nakamura was able to pound out a fine win to reclaim the title. I was impressed with Nakamura’s performance considering that he also streamed regularly on his Twitch channel during the competition! Just two days prior, 17-year old Jennifer Yu improved over her 2018 6.5/11 result to claim the title of 2019 US Women’s Chess Champion. Yu’s play was as solid as anything we’ve ever seen from her; solidifying her place among the great modern female chess players. Congratulations to both players for a job well done! Read more on the official press releases (Nakamura)(Yu) on the official US Chess website. US vs. Norway in Chess Championship! GM Fabiano Caruana, who is currently ranked #3 in the world, won the 2018 Candidates Tournament in Berlin against GM Alexander Grischuk in the 14th round. Caruana held the lead for most of the tournament but found himself fighting back against victories by GMs Sergey Karjakin and Shakhriyar Mamedyarov. Fortunately, the young American held off and emerged victorious in the final round. Caruana will go on to face GM Magnus Carlsen in November in London for the World Chess Championship title. For your reference, this is the first time that an American has played in the World Chess Championship since Bobby Fischer beat Petrosian in 1971. Last weekend around 60 players from across the San Antonio area gathered at the Wonderland of the Americas Mall to take part in the San Antonio Summer Scrimmage sponsored by the River City Chess Club and the San Antonio Chess Club (SACC). Yours truly decided to jump into the pool and register for the tournament when it was first advertised back in June/July. Although my game results were much less than desirable, the SACC TD, Edgar Munoz along with support from members of both clubs put on an exceptionally well-run tournament. Approximately 60 players packed into the Wonderland Events Center near the mall’s food court to try their luck at a cash prize and the glory of chess tournament victory. The tournament started an hour late due to the overwhelming response from players! Normally I would be bothered by such a late start, but it was nice to see the TD and team giving so many people an opportunity register and pay at the last minute. Notably, the start delay was the only real hiccup that the event seemed to experience. The tournament went very smooth for most players once play began. Perhaps one of the most notable events occurred during the end of Round 01. The end of the round came down to the wire with one game remaining between a young girl and one of SACC’s regulars. The ensuing drama found our SACC regular eventually pinned down by some brilliant last-minute exchanges. It was a thrilling experience and the only time in the tournament where the room erupted in applause. The above Instagram photo captures that game as it entered into its final 10 minutes. More photos of that game and the tournament itself are available at the bottom of the page just past my game analysis. I think that I am in the running for setting a new chess record of having the lowest ELO rating out there. Fortunately, the US Chess database reminds me that I am not the lowest, but I am damned close. Part of that comes from playing in a city where most of the regular players are 1500+ ELO. It is good for the learning experience, but not so good for the W-L record. The three games I played in this tournament (got 1 bye in Round 3) were painful, but educational and somewhat surprising. I learned quite a bit throughout the tournament about where I need to shift my study habits in addition to conquering some anxieties I had about playing in OTB tournaments with so many good players. Game #1 was against a 1300 ELO player who was very friendly and played a nice game. We laughed a few times because of some arguments happening next to us between two kids playing their game, but overall the game was enjoyable. This game was not as good or educational as the other two, but it did remind me to stick to my opening preparation instead of trying to play so much off-the-cuff in games. As you will see in the game commentary, this game made me very nervous. It was against a 1900 ELO player which was enough to challenge my psychological ability to sit at the board. In the end, this game turned out to be one of the best games I have played in a long time, even with a loss. I think that I also got Stockfish to give me my first ever (!) annotation on a move I agreed with. Game 3 came in Round 4 after quite a break through Round 3. My opponent was rated around 1100 ELO and slammed pieces down harder than anyone I believe I have ever met. Another loss, but it was very educational and fun to play. In the end, my impatience got the best of me an earned me my first-ever loss by checkmate. The San Antonio Chess Club is in the midst of a revival. Its President, Mitch Vergara, is one hell of a chess player and his passion for the game is reflected in the ways he has networked with River City Chess, Rackspace, and others to promote the game throughout the Alamo City. The 2017 Summer Scrimmage was a fun event for all ages that really brought the best minds of San Antonio together to play the Royal Game. It is my hope that this is just a taste of things to come from River City and San Antonio Chess. Longtime readers know that I have struggled to secure any hint of a victory when playing against players over-the-board (OTB). I have won (and lost) my share of online blitz and standard games on Chess.com and lichess, but capturing that first victory at a real tournament was elusive. This might not seem like much to a seasoned chess player, but not being able to obtain even a slight advantage in so many games was frustrating. See here, here, and here. However, that frustration came to a close recently with my first OTB victory! Because it has been awhile since I posted anything of significant here on Campfire Chess, I thought it would be a good idea to share this game with my readers to help celebrate my victory. My opponent was very challenging, but errors were made that turned things in my favor. I am always on the lookout for new and interesting chess shops, stories, and personalities throughout the day and I came across a really cool place south of downtown San Antonio that definitely raised my curiosity. Trader’s Village is a massive flea market and entertainment venue located on Interstate 410 just south of JBSA-Lackland in San Antonio. Aside from rides, food, games, and countless shopping opportunities, I found a neat little space where chess is king! Nate is the proprietor of AllPerfectGifts4U located in booth #1049 and much of his wares are chess sets and boards of varying styles. I was impressed to find a unique US Air Force themed set for a respectable $49, but the set I wanted had already been sold via the online store. I guess I might have wandered to the wrong shelf looking for goodies. In addition to selling and promoting chess, Nate also organizes a monthly chess tournament in the Trader’s Village central plaza. There is a big sign on one of the overhangs (see this post’s featured image), which advertises the monthly tournaments and can help lost chess enthusiasts find their way. 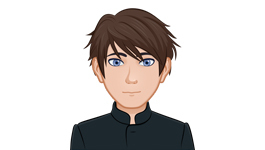 According to Nate, the tournament games are 15 | 10 time controlled with modest participation and several regular players including one or two personalities that definitely seem to add a unique flavor to this hidden chess gem. The winner of each monthly tournament receives a professional tournament chess set to add to their collection! I have reached out to Nate for some clarifications and will update this article as I receive additional information. If you are interested in signing up for one of these tournaments, visit the tournament’s official website. Grab your popcorn and laptops, campers, because the United States Chess Championship is set to begin in just over two weeks time! The tournament will be hosted by the Chess Club and Scholastic Center of Saint Louis for the eighth year and it promises to be another exciting tournament for chess players and fans alike! 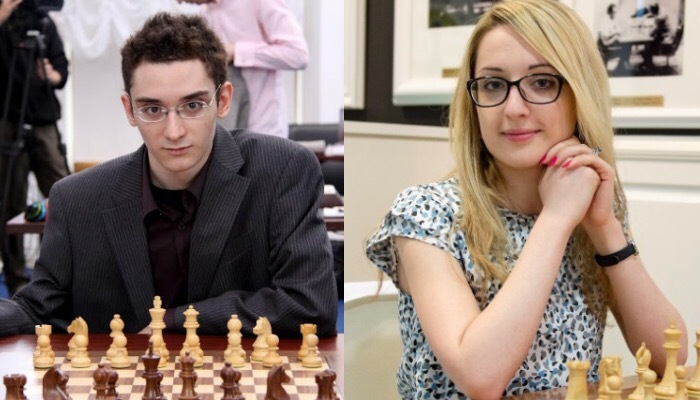 This year, newly nationalized American Champion Fabiano Caruana and America’s sweetheart Nazi Paikidze-Barnes will defend their titles against the top talents from US Chess. The prize fund this year is $194,000 with players arriving on March 27-28, Opening Ceremonies on March 28, and Round 1 beginning on March 28. As usual there are plenty of places to catch the action. Fans can view the matches live on ChessBomb, ChessBase, Chess24, and Chess.com.